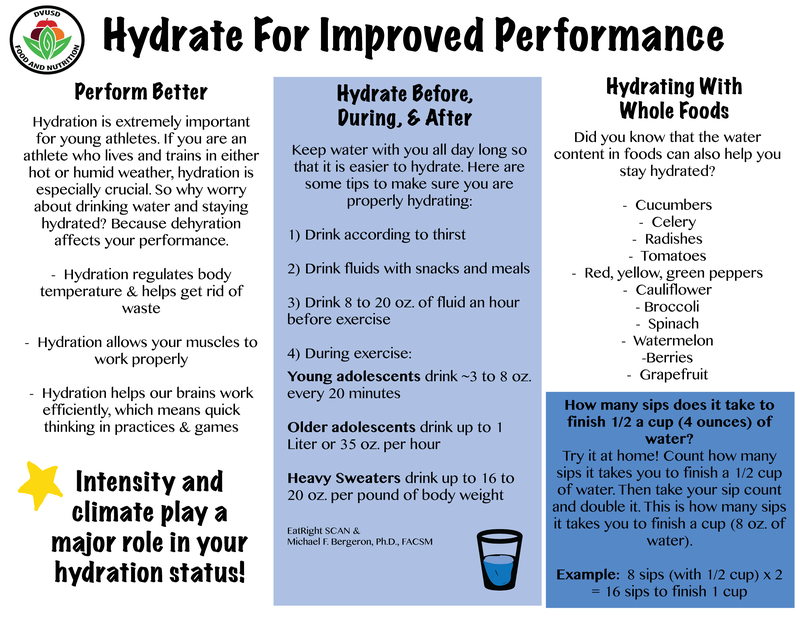 Nutrition can make a good athlete great and a great athlete good. 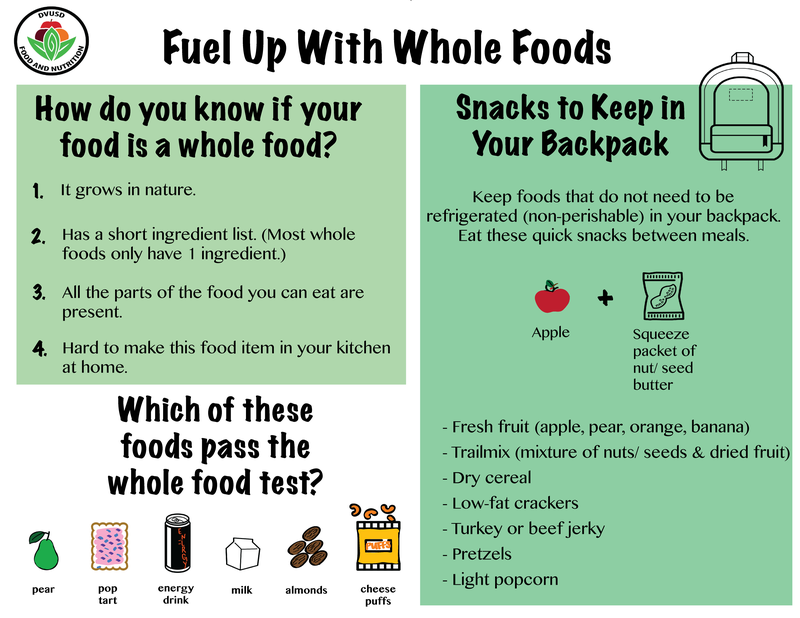 Making smart food choices is important for all of us. Being a student athlete presents its own set of challenges. 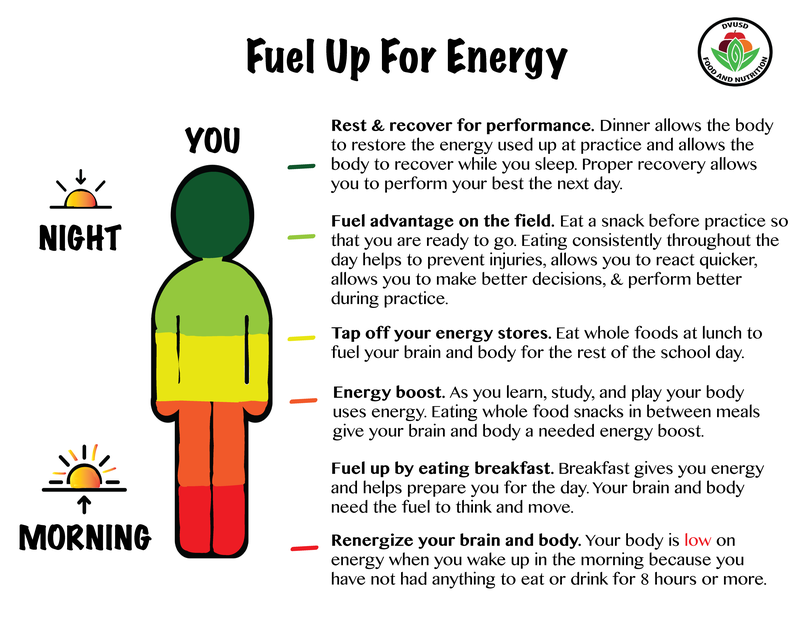 Early morning practices, multiple practices and long days make getting enough nutrition to ensure continued performance, brain power and growth and development difficult. Going into each day with a nutrition plan is of utmost importance. 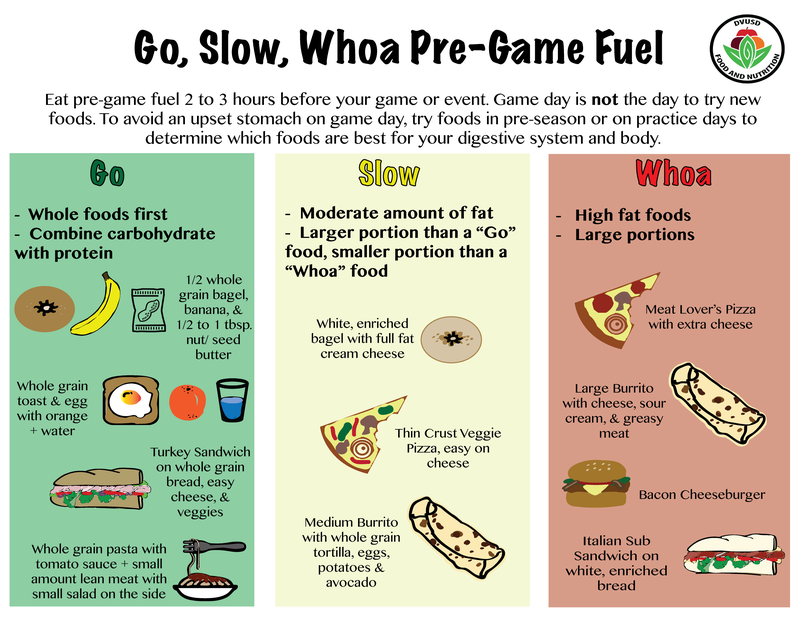 Knowing when your athlete is going to eat and what they will be eating is critical. 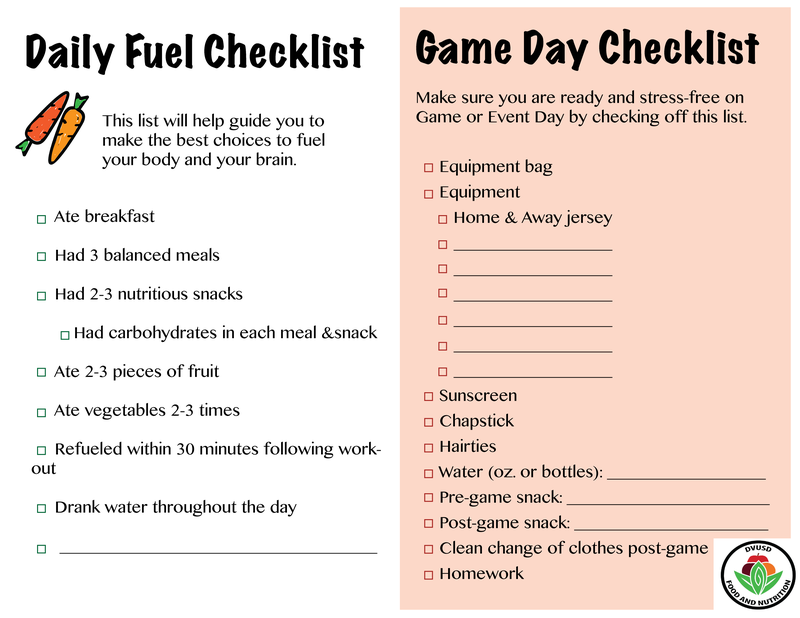 Our goal at DVUSD Food & Nutrition is to provide information to help take the guess work out of your athlete's planning.